A contemporary art fair in the culturally rich community of Harlem. 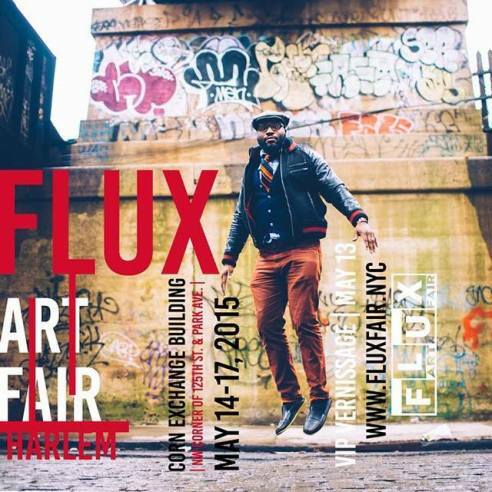 FLUX Art Fair is a dynamic artistic platform engaging an international community of collectors and those who simply appreciate art to discover artists and discover the vitality of Harlem. Driven by curators collaborating with artists, FLUX Fair contributes to the vibrancy of Harlem by expanding the scene beyond the walls of the fair, partnering with cultural institutions and creating opportunity for rising Harlem artists within the fair. Guest Curators select lead artists to present significant signature works linking emerging artists to a broader spectrum of art collectors. Artists and curators respond to the curatorial theme: “The 21st Century Artist is a Nomad”. Harlem, an internationally acclaimed crossroads for the modern caravan of creativity, is a particularly relevant place to explore this theme.